A new series of reports from iData Research say the adoption of 4K-capable devices in the operating room has stimulated significant growth in the integrated operating room market in the United States. This trend towards higher-resolution technology is particularly prominent in the markets for 4K surgical displays and 4K camera systems which are experiencing high double-digit growth. According to a new series of reports by iData Research (http://www.idataresearch.com), the total U.S. market for video and integrated operating room (OR) equipment was valued at nearly $2.3 billion in 2017. A major driver of growth in the U.S. video and integrated OR equipment market is the rising trend towards higher-resolution technology. This trend is particularly prominent in the markets for 4K surgical displays and 4K camera systems which are experiencing high double-digit growth. Since the introduction of 4K-capable devices in the market place, there have been considerable efforts to convert existing HD devices to newer 4K-capable ones. Hospitals are investing in this technology earlier than anticipated, in order to future-proof their operating rooms, which has resulted in unexpectedly high growth rates for 4K surgical displays and camera systems. In addition, the higher price point for 4K devices coupled with the conversion to these systems from the considerable number of HD installed devices will continue to drive growth over the coming years. While the majority of competitors in the integrated operating room market offer 4K surgical displays, only two companies, Olympus and Arthrex, offer 4K camera systems. Currently, Olympus is the third-leading competitor in the camera system market, but they are well-positioned to surpass their competitors, particularly those who might not adapt to this growing trend for 4K camera systems. The latest research by iData found Stryker to be the leader in the U.S. video and integrated OR equipment market, holding nearly one-quarter of the total market share. They were the first company to offer HD video technology and released the first HD surgical camera system well ahead of their competitors in 2004. The fact that the company has been able to retain its market dominance, despite having yet to release a 4K camera system, is a testament to its entrenched position within this market. Karl Storz is the second-leading competitor in the video and integrated OR equipment market. Karl Storz previously lost market share to Stryker due to its delayed introduction of HD products, which proved later to be a significant source of revenue. However, Karl Storz has recently introduced a variety of new and up-to-date products that have, in some cases, outcompeted Stryker. This has resulted in the company regaining some market share over the past several years. While Stryker and Karl Storz have historically held leading positions in this market, the fact that they have yet to release a 4K camera system has limited their opportunities for growth compared to their competitors. However, it is expected that both companies will release 4K camera systems of their own in the near future. Once these products enter the market, the conversion from HD to 4K devices by the two market leaders’ substantial client bases will be a major source of revenue for the camera system market. 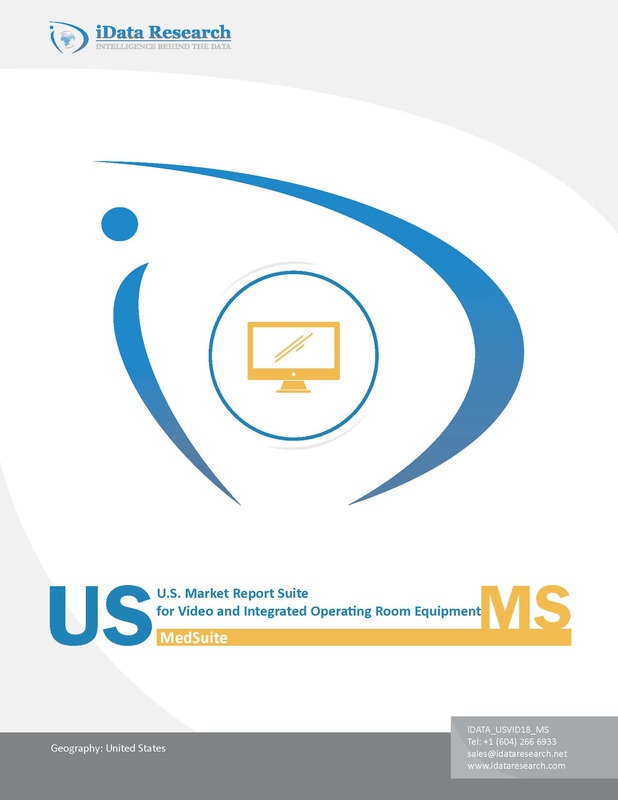 Email us at info(at)idataresearch(dot)net or register online for a U.S. Market Report Suite for Video and Integrated Operating Room Equipment 2018 brochure and synopsis. iData Research (http://www.idataresearch.com) is an international consulting and market research firm, dedicated to providing the best in business intelligence for the medical device industry. Our research empowers our clients by providing them with the necessary tools to achieve their goals and do it right the first time.